Global Warming of 1.5°C will forever define 2018, the year that the Intergovernmental Panel on Climate Change finally published a report that refrained from kicking the climate-action can ever-further down the road. Since that report, as is the all-too-familiar pattern of the rapidly unfolding global climate emergency, a study has been published indicated that the oceans have warmed 60% more per year than was previously calculated. This confirms what many advocates of climate action have long suspected, that sea-level rise and extreme weather events will impact far faster and harder than politicians fondly imagine. This is the world that Mahurangi Action finds itself operating within, and which denies it the option of sticking to its pre-global-warming knitting. This was also the case when science illuminating the Mahurangi Harbour’s elevated sediment accumulation rate smothered residual concerns regarding wastewater treatment. The society instantly got with the programme and worked to get the greatest out of it for the Mahurangi watershed, a five-year narrowly focussed programme became a 10-year holistic one, which lent support to the dredging now underway by the Mahurangi River Restoration Trust. 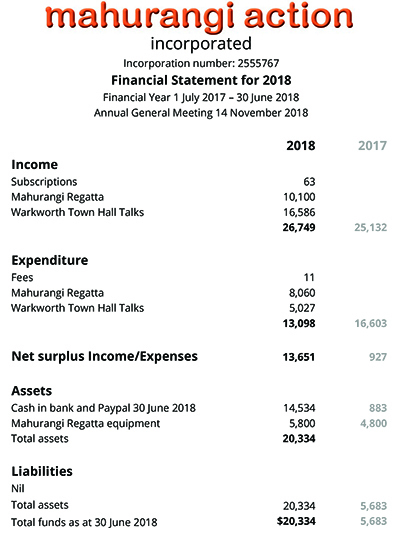 Warkworth Town Hall Talks, which were kicked off in the 2016–2017 term, have repaid the effort and expense in spades. Firstly, they have resulted in the hall being equipped with its own, installed audiovisual equipment, thanks to a lottery grant and the generosity of Mahurangi Action member J Barry Ferguson. Secondly, just as the money was running out to hire audiovisual equipment, Dr Andrew Jeffs’ stirring account of the green-lipped mussel reef restoration work in the Hauraki Gulf and the Mahurangi Harbour, led directly to a very substantial philanthropic commitment to the cause: The five-year Mahurangi-based green-lipped mussel reef restoration research project. The project is being managed by the University of Auckland and, from the second year onward, will employ two phd students, working out of the university’s Leigh Marine Laboratory. The project is utterly research-focussed for the simple reason that restoration of a meaningful area of the Hauraki Gulf’s once 500-square kilometres of green-lipped mussel reef would cost billions by current methods—per hectare three times more expensive that the eye-watering cost of restoring indigenous forest. But the prize, for successful at-scale restoration of what the dredges destroyed by the mid-1960s, would be clearer water and more snapper habitat, particularly for juvenile snapper and many other species. The failure to deploy at-scale solutions is why, after 30 years of ipcc pussyfooting, global greenhouse gas emissions have only increased. Fortunately, now that every action must be a climate action, mussels are miracle workers when it comes to carbon sequestration, right up there with oysters. By clarifying the Hauraki Gulf water column, which green-lipped mussels once filtered every 48 hours, sunlight will penetrate further and grow more phytoplankton, to feed, amongst other bounteous things, more oysters. So, while the Warkworth Town Hall Talks might not convince the town fathers of the need to deploy mature zero-carbon technology such as latter-day trolleybuses, they have demonstrated that they can galvanise action, regardless of whether making the harbour more resilient to the increasingly extreme rainfall events, or to improve fishing, is the prime motivation for support. To honour J Barry Ferguson’s philanthropy, he has been nominated for Mahurangi Action life membership. Ironically, this class of membership was vehemently opposed by the society’s founding chairman, John Male, for reasons that, remissly, were not recorded. The honour has been bestowed very rarely, and in the case of the first recipient, and founding committee mem, Wilfred J D Allen, who correctly identified that the style of wastewater treatment plant planned for Warkworth was unsuited to the high wet weather flows characteristic of the town’s famously porous sewage reticulation. Wilfred, who wrote World War II aircrew manuals, was also on the right side of history with his support for the peaceful use of nuclear power, now a critically indispensable zero-carbon technology. Meanwhile, his bequest to Mahurangi Action was pivotal in the subsequently controversial decision to publish Dr Ronald H Locker’s Jade River: A History of the Mahurangi . The goal that continues to elude, is restoring the local in local democracy. 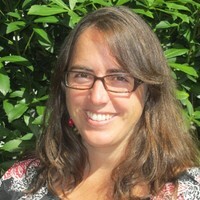 Mahurangi Action, in 2016, submitted the only alternative to be judged a reasonably practicable option under the Local Government Act 2002. But the Rodney Local Board, not wanting to divest any territory or funding, failed to back the measure, despite it also enjoying strong community support in west of the ward. Most blame, however, must be sheeted home to the Local Government Commission, which refused to look past the gift horse’s entirely youthful mouth—the millions expended in the misguided quest to create a separate unitary authority and the commission’s defence of the status quo, could have seen a genuinely local board, meeting monthly in the Warkworth Town Hall. Although principal responsibility for it is in the hands of a separate trust, Mahurangi Action continues to play a leading role in establishing the Mahurangi Coastal Trail. Currently it is exploring the option of building a scow-derived research vessel to serve both the mussel reef restoration research project and a practicable means of ferrying folk across the Pūhoi River Mouth. None of this would be possible to contemplate seriously without the consistent encouragement of the principal Mahurangi Regatta sponsor, Teak Construction. Indeed, the regatta is the day when there is the greatest need for a ferry, not least of all so that the hard-working shoreside regatta volunteers can be ferried from Mahurangi West to Scotts Landing for the prize giving and dance, and home again, some at midnight. Possibly the most important role for the scow will be involving school students in the mussel reef restoration research. A member-owned oyster barge was once used for a similar purpose, but a more exacting regulatory framework now existing requires that, for such purposes, the craft will need to be built under survey. Small price to pay for the richness of real-world experience, outside of a classroom. 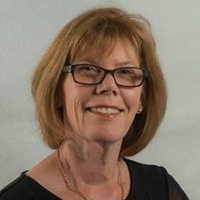 Unsupervised Acting Treasurer: Tellingly, although nine nominations have been received for the committee, none is for the year-long vacant role of treasurer. 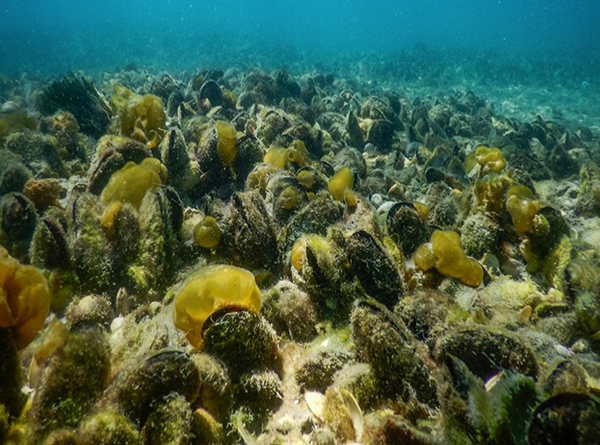 It is hoped to soon address this deficiency, not least of all so that the organisation can robustly fundraise for the Mahurangi-based mussel reef restoration research project. Minutes of annual general meeting Minutes of the 17 December 2017 annual general meeting and 2017 financial statement, as approved by those present at that meeting. Annual report To save time at the meeting, the annual report, and agenda, was published online on the Mahurangi Magazine and notified at 1.23 AM 10 November 2018. Financial The current bank balance is $8952.45, after paying $1649.10 for a lectern to replace that kindly lent by Commercial AV Supply Co.
Mahurangi mussel action Recruiting and mobilising supporters for the five-year, potentially $1 million, Mahurangi-based green-lipped mussel reef restoration research project. Mahurangi Regatta Further collaboration with Scotts Landing community and major opportunity to publicise the wonderful work of the Mahurangi River Restoration Trust and the mussel reef restoration research project. Warkworth town basin Opportunity for modelling options for enhancing the amenity value of the town basin. Warkworth Town Hall naming sign Mahurangi Action member J Barry Ferguson has offered to pay for an appropriate naming sign for the Warkworth Town Hall. Matthews & Matthews Architects, involved in the restoration of the town hall, has provided advice regarding the design and consenting process. Stage 1, the design, will cost about $1000. Stage 2, consenting, will cost about $3300. After the design, and before committing to the consenting process, the cost of sign and its fixing will be known. Warkworth Town Hall Talks Mahurangi Action is responsible for the Warkworth Town Hall now boasting professional, installed audiovisual equipment. Hiring a half-ways large enough screen, projector and sound equipment was not fiscally sustainable, nor logistically, carting it from and returning it to Penrose. Potential topics for 2019 include the historic, such as When Warkworth was Water-Powered, and how the future might be More Grid and Less Gridlock. Nominations for the Mahurangi Action committee will be open leading up to the next annual general meeting.